I was back in Korea on the first day of 2016 to celebrate New Year with my dearest soulmate. During that trip, I noticed that there were a lot of new Korean brands that I have never seen before popping out on the street. But, most of them were quite empty. The crowded counters at Duty free shops were still the few famous one, and one of it is belif. belif skin care was founded back in year 2010 in Korea. As a ‘true herbal cosmetic’ brand, belif strives to deliver the highest value and quality based on the processes and philosophy created by a UK herbalist, Duncan Napier, 150 years ago. According to belif, they only select True Herbs to deliver nature’s benefits. Not only that, belif labels all its ingredients to carry on Napiers’ tradition. Hence, we can see the label “With Napiers aqua formula. Napiers original formula’ on their star product, the Aqua Bomb. belif products are guaranteed safe to use, because they have No Mineral Oil, No Synthetic Fragrance, No Synthetic Dyes, No Synthetic Preservatives and No Animal Origin Ingredient. Not only that, any unnecessary ingredients are avoided for the safety of use. Hence the formulas are gentle to all skin types. Just like its believing in avoiding any unnecessary ingredients, belif is also avoiding exaggerated over-packing. 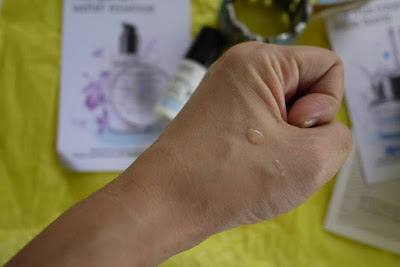 Since my skin had turned to very dry and sensitive after my Busan Winter trip, thus I have given their stars products: Aqua Bomb and Hungarian Water Essence a try to see if they could rescue my dry and flaky skin. belif Hungarian Water Essence is an instant, lightweight hydration recharger serum that is powerfully effective for deep, lasting hydration. Hungarian Water Essence recharges skin's lost hydration back in an instant. This formula contains a blend of apothecary herbs, including rosemary and lavender—powerful hydrating and antioxidant agents. I fall in love with the unique scent of belif Hungarian Water Essence since the first time using it. I apply the essence after cleansing and tone my face in the morning and night. 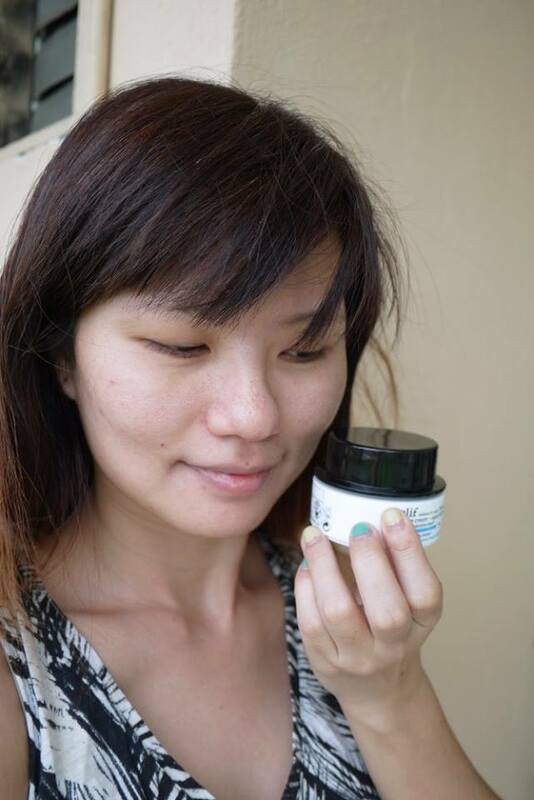 It has an ultra-light watery texture which instantly absorbed into my skin. The hydration effect is long-lasting, leaving my skin healthy-looking, soft, and supple for a whole day. Hungarian Water Essence is dermatologist tested and free from Parabens, Sulfates and Phthalates. 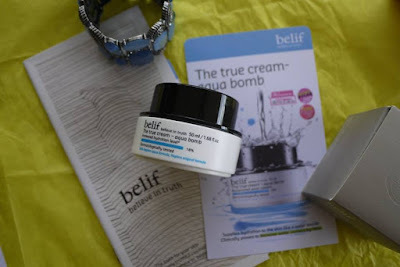 According to belif, Aqua Bomb is a mineral oil-free gel-cream that 'floods' the skin with a rush of refreshing hydration and minimizes the appearance of pores for soft, smooth, supple skin for normal to combination skin types, including oily skin, and dry skin types looking for a lightweight moisturizer. This formula contains a blend of apothecary herbs, including antioxidant-rich lady's mantle, which helps neutralize skin-damaging free radicals, improves skin elasticity, and minimizes the appearances of pores. I love Aqua Bomb’s unique herbs scent a lot. I apply it after cleanse, tone, apply eye cream and Hungarian Water Essence twice a day in the morning and night. I love its ultra-lightweight gel-cream texture which is easy to absorb completely into my skin. 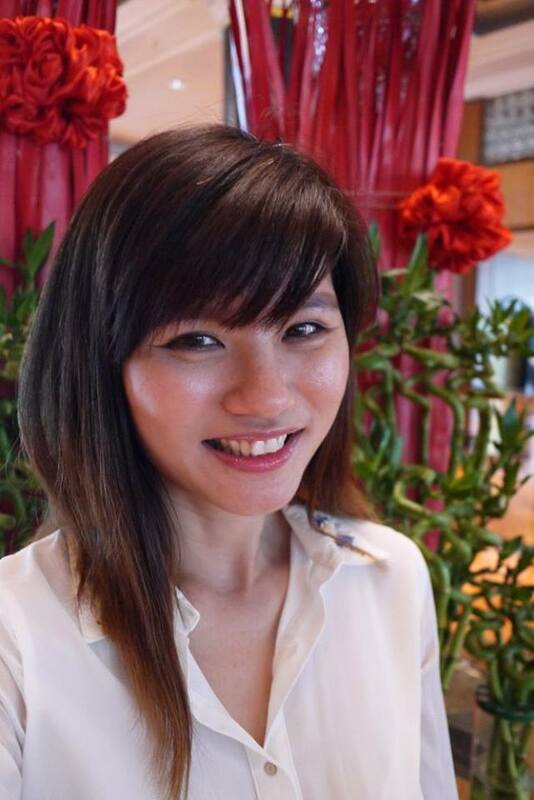 My skin feels moisturize and not oily for the whole day. I love how its hydrated and plump up my skin immediately. The best part is, we can use it in multiple ways. Other than using it as a hydration moisturizer, it can be used for a midday moisture boost by gently tapping the gel-cream onto skin. What’s event better is, it can be used on top of makeup too. It can also be used as a five-minute emergency moisture mask by apply generously to skin and tissue off. 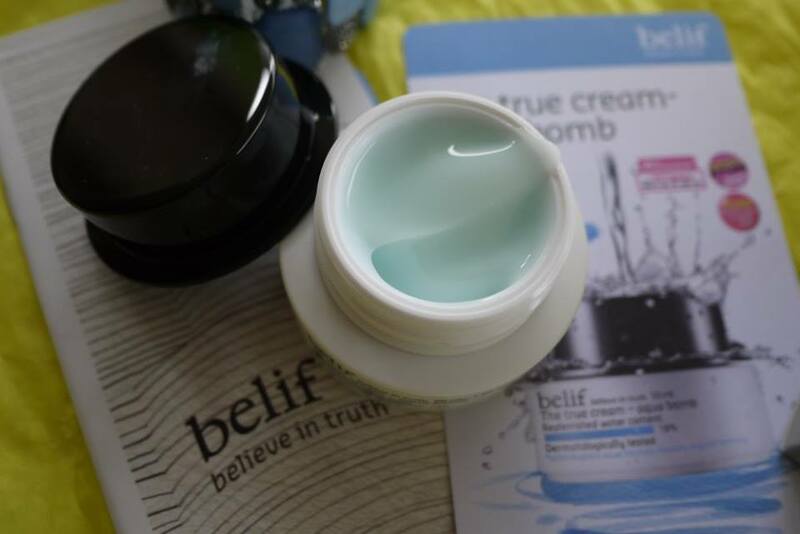 Similar with Hungarian Water Essence, Aqua Bomb is dermatologist tested and free from Parabens, Sulfates and Phthalates. After using belif Aqua Bomb and Hungarian Water Essence for 3 weeks now, my skin is moisturized, and feeling hydrated again. 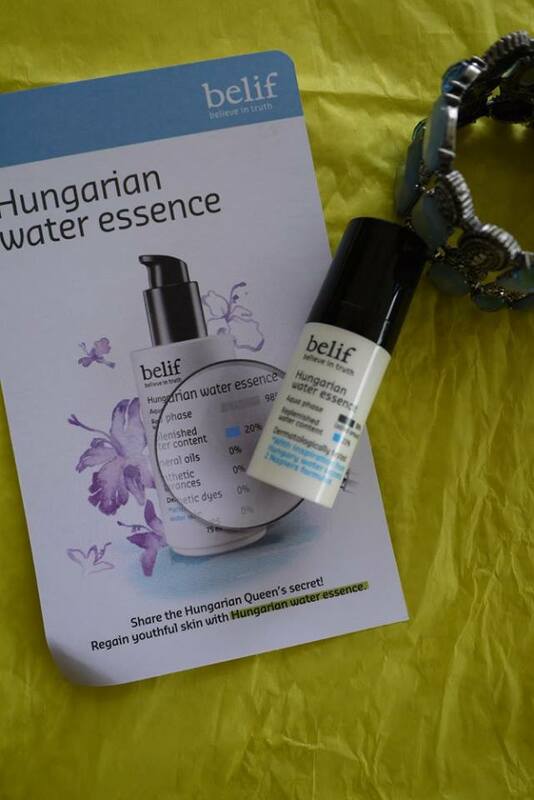 I also like the simple packaging of belif Aqua Bomb and Hungarian Water essence. I finally know why was belif counters always so crowded in Korea. 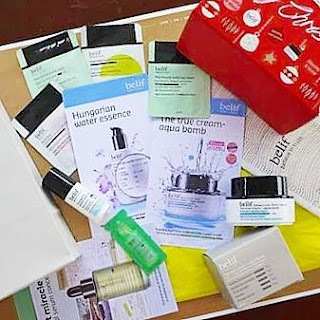 I recommend belif Aqua Bomb and Hungarian Water Essence for soft and supple skin and without worrying of heavy/sticky texture in our warm weather here in Malaysia. Awh Rane, you tried it out too! Definitely one for the books this one, the results that it gives in terms of hydration is absolutely superb. 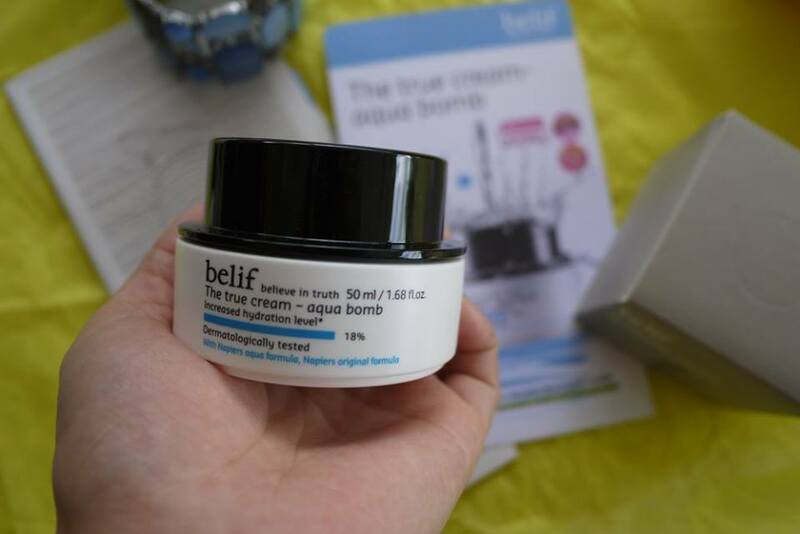 been hearing loads of great things for the Aqua Bomb moisturiser recently. It's nice to know they're vailable in Malaysia. You had my attention at gel texture, always open to try out new products that are lightweight and non cream base! 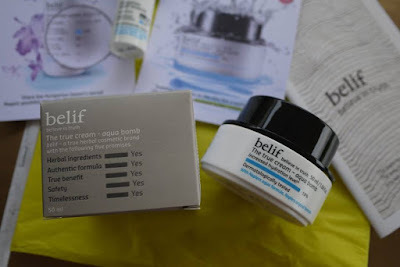 Always wanted to try Belif products. Thanks for sharing your thought.. The aqua boom looks very moist. 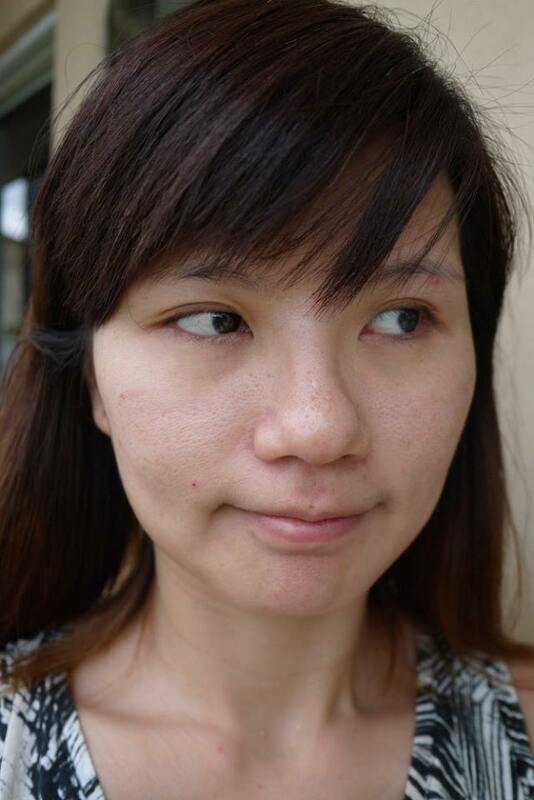 Can be apply after make up really help, coz sometimes too long in air con room make skin face very dry. Good one! I have tried some of their products, the hydration range is so far the best or perhaps my skin is dehydrated so it show better effects. cool hungarian water and the name water bomb. u looks so different now!